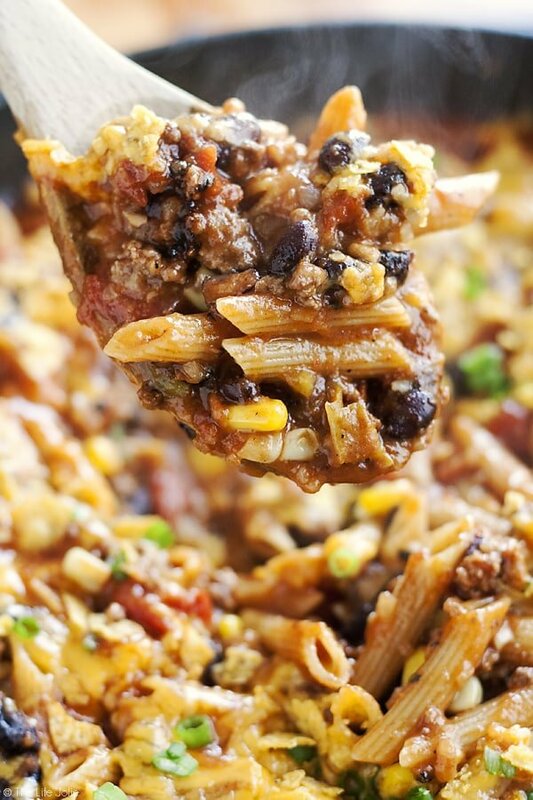 Looking for a quick, easy and delicious weeknight meal for your family? 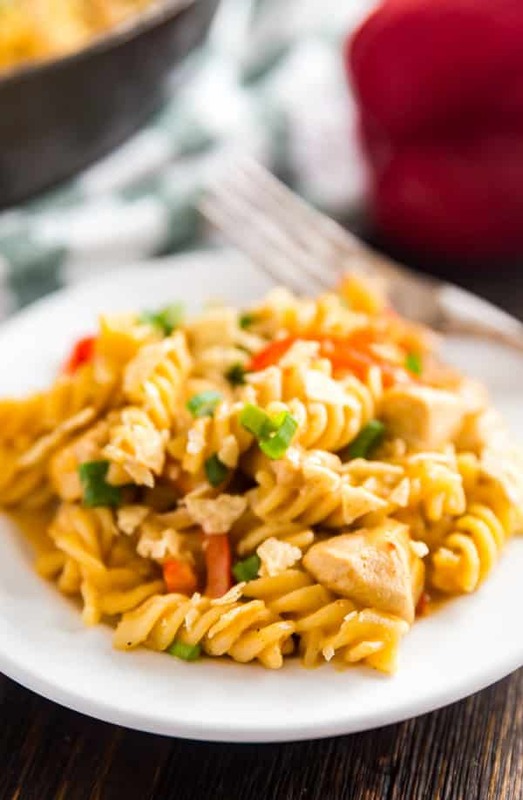 Look no further, this Creamy Chicken Fajita Pasta is full of tender chicken, sweet peppers and onions and a spicy kick that will keep everyone coming back for seconds! I won’t lie, for a very long time I was pretty much a purist when it comes to pasta. In my mind, there was no reason to ever stray from my usual pasta with meat sauce or marinara sauce. What can I say, I was raised eating those sauces consistently each week and they totally have my heart. And while I still love them, I’ve branched out a bit and I try to flex my creative muscles from time-to-time. This is one of those times and I am seriously in love with the results. This one is a serious keeper, you guys. Crazy easy. Quick. 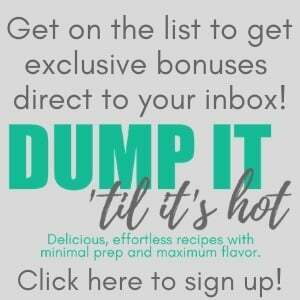 And super, duper flavorful! This has all the great flavors of a Mexican pasta. 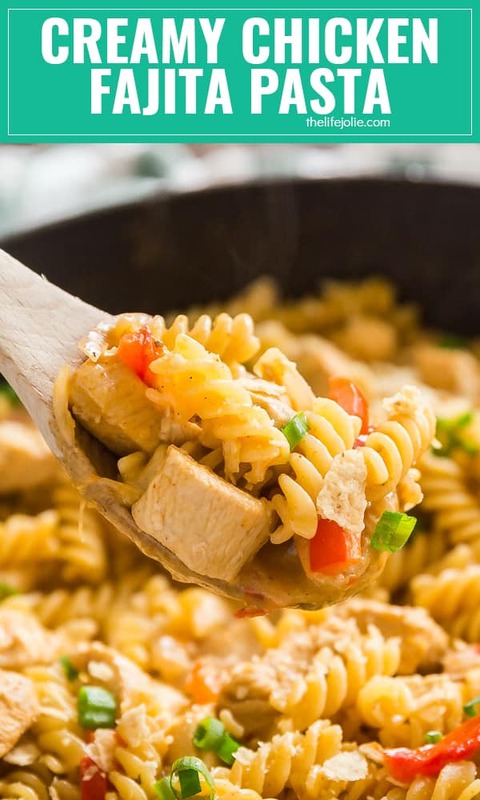 Like the chicken fajitas you get at your favorite Mexican restaurant but in a super creamy, slightly decadent pasta form. 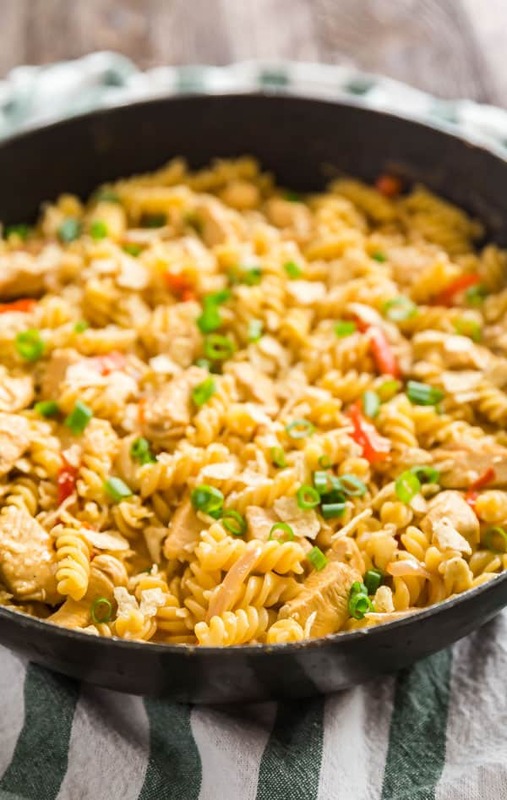 The chicken is super tender and the peppers and onions are always a necessity where fajitas are concerned and a healthy dose of fajita seasoning gives the creamy sauce a spicy kick. 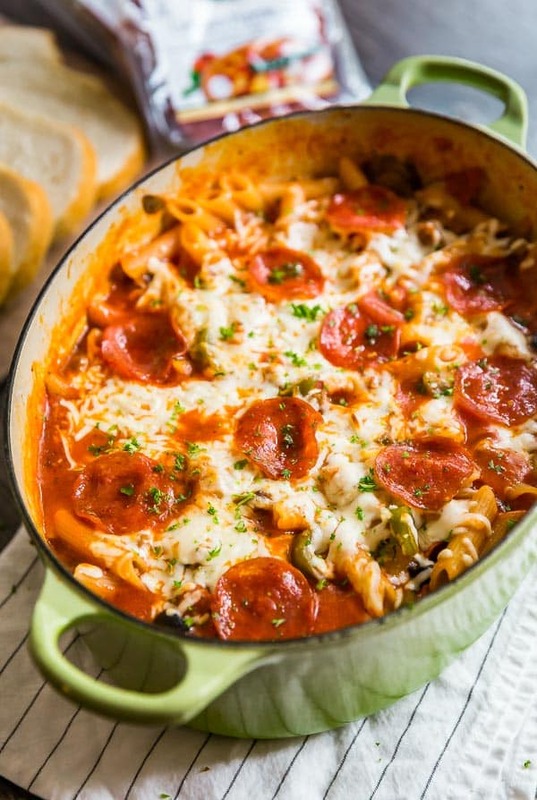 Can I make this as a one pot pasta? This has not been tested in a single pot so I cannot guarantee the outcome. Can I use chicken that has already been cooked? 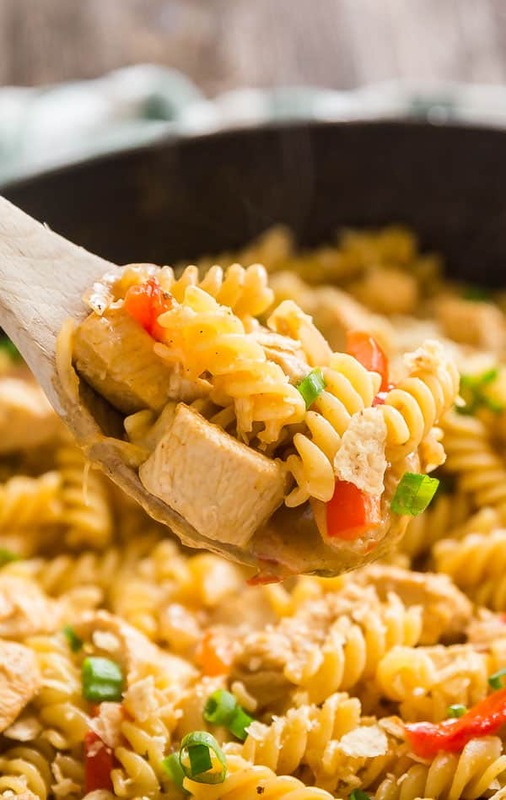 Yes, just leave the vegetables in the pan and add it at the same spot in the recipe that you’d add raw chicken continue as always since the chicken is already cooked. Does this reheat well? I’d give it a 5/10 for reheating. 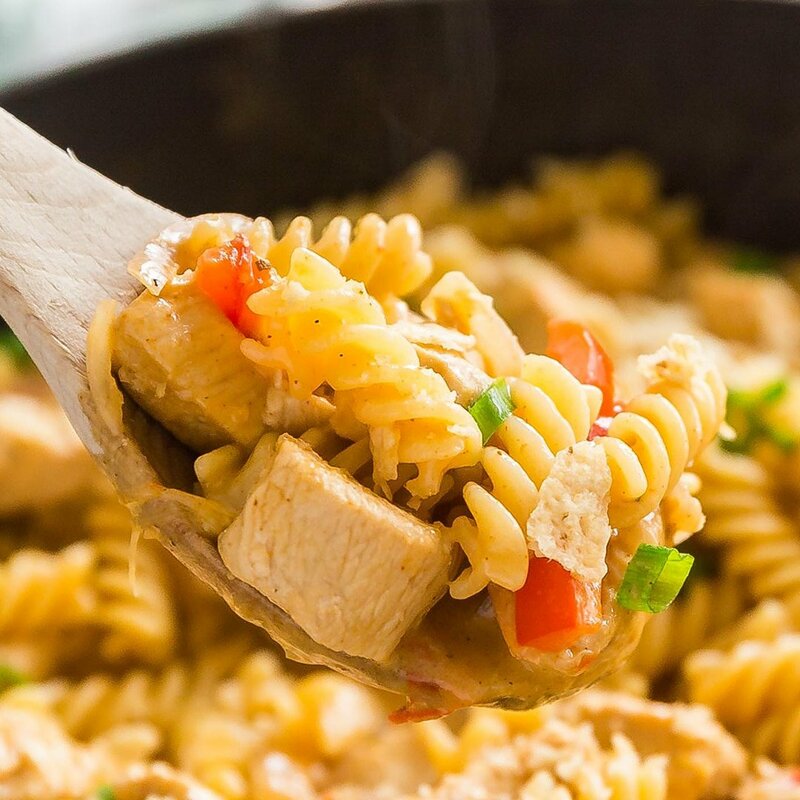 Creamy sauces are best served right away. That said, I microwaved the leftovers and they weren’t bad, just not as great as freshly prepared. Can I use homemade fajita seasoning? Yes, you’d use a little less than 3 Tablespoons of homemade seasoning. 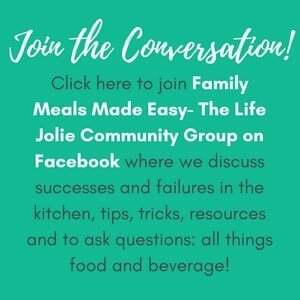 Looking for a quick, easy and delicious weeknight meal for your family? 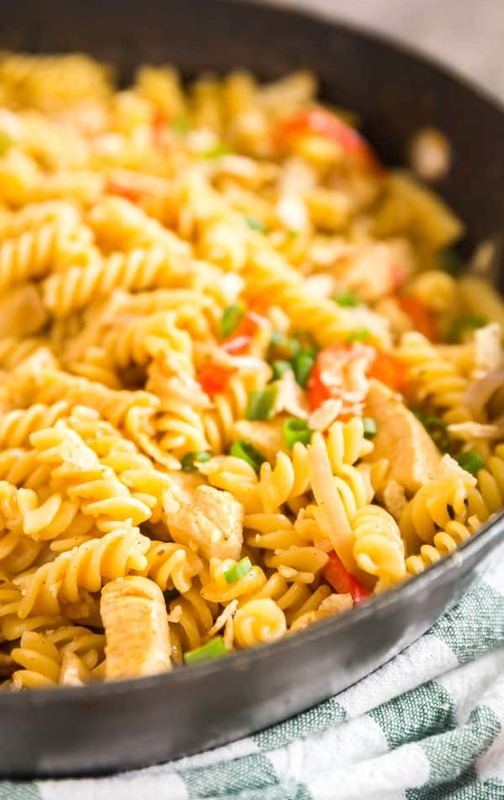 Look no further, this Creamy Chicken Fajita Pasta is full of tender chicken, peppers and onions and a spicy kick that will keep everyone coming back for seconds! Heat 2 Tablespoons oil over medium-high heat in a large skillet. Add red pepper, onions and garlic. Saute to soften stirring often, about 5 minutes. Remove vegetables from the pan and add 1 Tablespoon oil to the pan. Add chicken to the pan and begin to brown, stirring often, about 2-3 minutes. When the chicken is about half way browned, add the vegetables back into the pan and cook for another t2 minutes. Sprinkle with fajita seasoning and stir to coat. Sprinkle on flour and stir to coat. Add broth and heavy cream to the pan and stir to combine. Bring to a boil and reduce the heat to medium low. Simmer for 10 minutes to reduce and thicken. Add cooked pasta and toss to combine cooking about another minute. Top with green onions and crushed tortilla chips and serve immediately. February 25, 2018 at 7:25 pm Yum! Fajitas get me every time! I’ll have to give this a try, so I pinned it for later. It looks delicious! 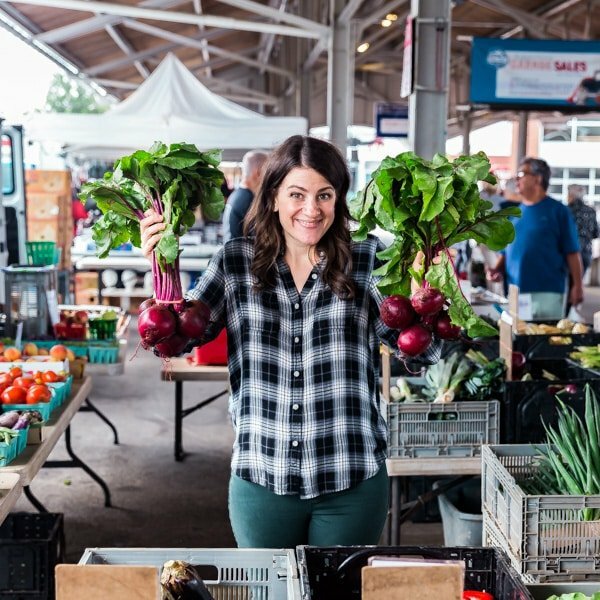 February 26, 2018 at 10:24 pm Thanks Leslie- me too! It's the sizzle when they bring them out at a restaurant! March 7, 2018 at 5:18 am That fajita one looks so amazing! Want to try that one! March 7, 2018 at 7:12 am Thanks Mariko- give it a try, it's delish!